For the period March 1st – December 31st 2019, the National Energy Regulatory Authority (ANRE) imposed to large electric energy producers to sell a certain amount of energy at fixed prices to the mandatory suppliers of last resort (SLR) in order to ensure the consumption of the households. Today we tell you how ANRE distributed among the four SLRs the cake” of Hidroelectrica, the company forced to sell the energy at 111 lei/MWh (approx. 23.3 euros), the lowest price in the country. You can also read the agreements concluded between Hidroelectrica and each SLR, with delivery charts. Electrica is the mandatory SLR for three of the eight grid areas in Romania, Muntenia Nord, Transilvania Nord and Transilvania Sud. Electrica receives this year about 736 GWh of electric energy from Hidroelectrica. The delivery schedule shows that for each of the three grid areas, Electrica will receive hydro energy for each month between March and December, with the same particularity: in August and the three following autumn months, the quantities decrease significantly. Deliveries cover most of the time slots for each of the three network areas. Enel Energie Muntenia is the mandatory SLR for Muntenia Sud grid area, which also includes Bucharest. Enel Energie Muntenia receives about 255 GWh of electric energy this year from Hidroelectrica. The delivery schedule shows that Enel Energie Muntenia will receive hydro energy each month from March to December, with consistent deliveries in April, May, June, July and December. Deliveries cover most of the time slots, except for the off-peak intervals in March, October and November. 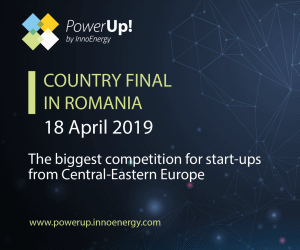 Enel Energie is the mandatory SLR for two grid areas, Banat and Dobrogea. Enel Energie receives about 122 GWh of electric energy this year from Hidroelectrica. The delivery schedule shows that Enel Energie will receive hydro energy for each of the two areas each month between March and December, except for March for Enel Banat. Comprehensive deliveries will be in April, May, June and July. Moreover, during this period, deliveries cover all hourly intervals, and in the autumn months, the input of hydro energy in the Enel Banat energy basket will be insignificant even at peak periods. The regulator avoided to allocate significant amounts of hydro energy during autumn, for all four SLR. During this period, the deliveries will be accounted for by the other producers with obligations for the regulated market, especially Nuclearelectrica, Petrom and the thermoelectric power plants that operate in cogeneration.